Looking to start a lawn or garden project this Spring? Now’s the perfect time. Decades of landscaping and lawn care experience combined with an organic love for our work means that we pride ourselves on our dedication to quality, affordable and earth-friendly landscaping solutions. There's almost nothing we can't do. Pristine, green grass isn't the be all and end all of a beautiful lawn, and it certainly isn't the beginning and end of our lawn care services. We're happy to offer a spread of premium services at competitive rates so every property owner can experience the joy of convenient, hassle free lawn care. Keeping your space green and vital starts with keeping our earth healthy. That’s why we’re committed to providing the most environmentally friendly services and products available. Our TurfPro Basic fertilizer and weed control spray is designed with high nutrient, premium quality, slow release fertilizer to feed your lawn at key intervals throughout the year. This basic method is an integral part of keeping your lawn fertilizer and weed issues under control with little to no heavy maintenance. Give your lawn some serious care with our TurfPro Elite program. This specially designed system is like a spa day for your lawn: it cleanses to perfection and nourishes all year long. The end result is a stunningly smooth, envy-inducing landscape that’s high-profile and low maintenance. The TurfPro process is all-natural, using the power of the earth and your existing soil to strengthen your lawn. This earth-friendly fertilization spray offers a powerful combination of seaweed kelp natural fertilizers and root building aeration to increase the organic content and the microbial activity of your soil. You have a limited window of opportunity to make sure your spring lawn yields lush summer grass. Our Spring Jump Start package combines the right time with the right people and right products to give your grass what it needs to turn into a vibrant green space in the coming months. Early spring is the best time to act, since the ground is softer and more receptive to this powerful treatment. So don’t wait. Winter take a toll on your lawn? Then our Spring Jump Start Plus is the healthy hit of TLC it wants and needs. Priming your lawn for optimal growth and packing it with nutrients, this treatment includes the application of a powerful - and odourless - pellet compost than keeps water and food in the root system - where it's needed. Next up is overseeding, a procedure that will help thicken grass to promote healthy growth. 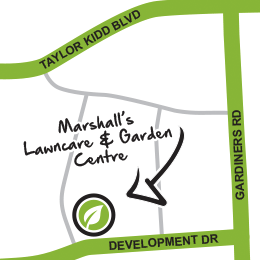 At Tyler Marshall we aim to provide you with the best looking lawn & garden. We pay attention to the smallest details, we are prompt and courteous, and we take care of our customers as though they were family. We pledge to surpass your expectations and to be better with every job we do. Get a quote. Choose your program.